As the frequency of data loss increases, more and more iOS users join the data recovery team. 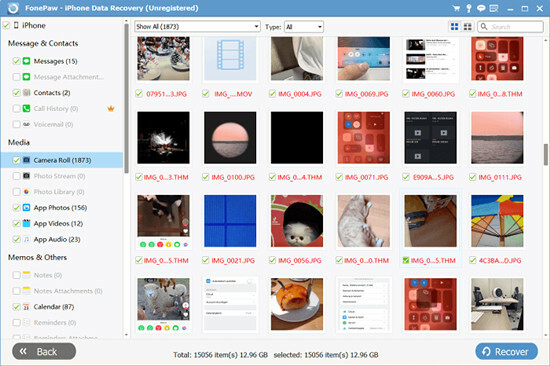 Immersion in the selection of data recovery tools became a major task. After search and trial, you perhaps think MobiKin Doctor for iOS is a decent software. It's possible to get lost iPhone/iPad/iPod touch data back from gadget itself, or from iTunes & iCloud backups. The simple-to-use interface is very easy to navigate as well. However, there are some significant drawbacks with this program. Specifically, it cannot support the latest iPhone XS/Max/XR and only recover limited data types. As a result, in case you are having any problem while using the MobiKin Doctor for iOS software, below we have mentioned the top 7 MobiKin Doctor for iOS alternatives which will serve your purpose effectively. Joyoshare iPhone Data Recovery proved to be a worthwhile program. It facilitates you to retrieve up to 20 kinds of iOS data from either iTunes/iCloud backup or iPhone/iPad/iPod touch. Its broad compatibility to the newest iOS 12 and iPhone XS/Max/XR makes it an excellent alternative to MobiKin Doctor for iOS. Most notably, it runs at an amazing speed to scan data from device or backup whether it's common or encrypted, deleted or existing. You can even have a real-time preview for specific items and only select whatever you need before recovery. The entire process is considerably secure; Joyoshare iPhone Data Recovery as well supports the two-factor authentication to guarantee 100% safe. 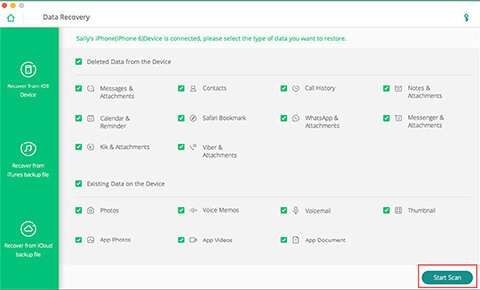 Being amongst the best alternatives to MobiKin Doctor for iOS out there, Jihosoft iPhone Data Recovery is actually intended for Windows and Mac. 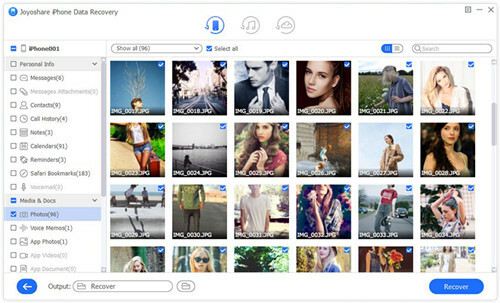 The application offers 100% accuracy in recovering lost iOS files. It likewise provides a free trial version which enables you to retrieve missing information from iOS gadgets, plus iCloud and iTunes backups. 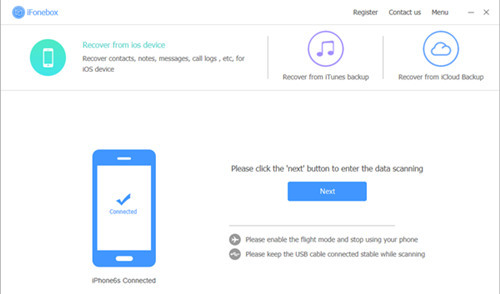 Apart from this, the Jihosoft software is supportable to salvage lost data from various situations, like jailbreak, factory reset, water damaged, recovery mode, Apple logo, iOS update, etc. 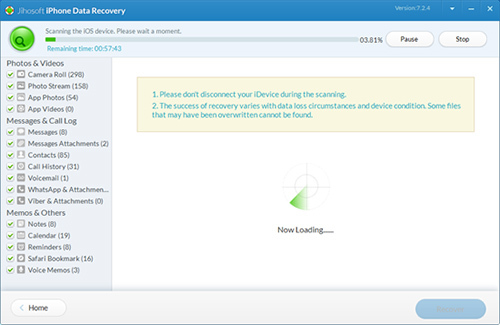 Besides, it only requires 3 simple steps to accomplish data recovery: connect iOS device, scan data and recover lost data. This astounding MobiKin Doctor for iOS alternative is known for providing simplicity of usage and it takes only several clicks to get it running. Apart from this, the interface and design of the application are quite easy to understand plus the user will be able to retrieve their data from 3 different sources – firstly, from their iOS gadget directly; secondly, from an iCloud backup file; and thirdly, from an iTunes backup file. With it, contacts, call history, notes, calendars, messages and more files can be restored from device running the latest iOS 12. This incredible alternative to MobiKin Doctor for iOS, iFonebox, is able to recover messages, contacts, WeChat, Calendar, reminders, as well as Safari bookmarks by scanning directly and evaluating the devices. The app provides 3 methods for storing info, and you simply need several clicks to retrieve your lost data. 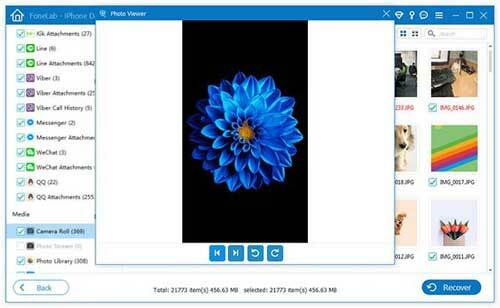 Moreover, you can also preview and extract the files before recovering them. The application supports all types of Apple devices and is able to finish the scan a very short time. In this way, customers can recover all the information they need in a hassle-free manner. Simple operation and user-friendly interface are the other significant features of iFonebox Data Recovery. iSkysoft iPhone Data Recovery is yet another amazing MobiKin Doctor for iOS alternative which is adept at restoring iPhone photographs, contacts, as well as messages with just a few clicks. The application has the ability to extract and also retrieve whatever you want from iTunes and iCloud backups including voicemail, call history, Notes, Safari bookmarks, Calendar, WhatsApp messages, and so forth. You will likewise get the facility of previewing any file before retrieving it and will get the info displayed along with their names plus file structures. iSkysoft iPhone Data Recovery as well offers an ideal solution to let you find what you want from iOS 12 devices. Next, on our list, is the revolutionary FoneLab iPhone Data Recovery, which is undoubtedly a wonderful alternative to MobiKin Doctor for iOS. This application enables you to retrieve information which has been either deleted or lost from your iOS devises, iTunes backup and iCloud backup. This software has the ability to support as many as 19 different types of files including reminders, call history, contacts, video clips, images, SMS messages, and so forth. It likewise helps to retrieve all types of data loss scenarios such as jailbreak, accidental deletion, factory resetting, iOS update, and so forth. FoneLab iPhone Data Recovery also works well with all types of iOS devices out there. This is one of the most popular alternatives to MobiKin Doctor for iOS. It has the ability to retrieve a wide range of lost data files and will execute its operation quite fast. 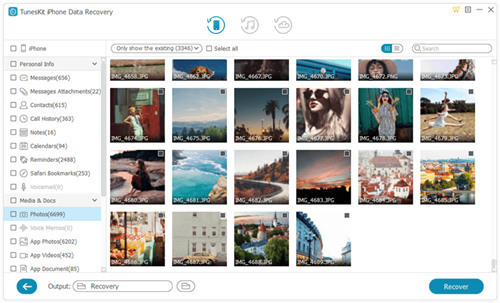 Moreover, this application offers a useful preview feature which will enable you to select which file types you'd like to retrieve. When it comes to speed and efficiency, there are few applications that can beat this particular software. TunesKit iPhone Data Recovery can also recover files of larger sizes. It is able to retrieve files in as many as 3 ways including recovering from the device itself, retrieving from iCloud backup, and also recovering from iTunes backup. Let us hope that this comprehensive list of 7 MobiKin Doctor for iOS alternatives will come of use to you. While some of these applications are absolutely free, the others provide only a free trial version. It is entirely up to you to select the appropriate one for your personal requirements and start saving all your valuable data files from your iOS device. Or you can share more appreciative alternatives here with us if you have made further search.